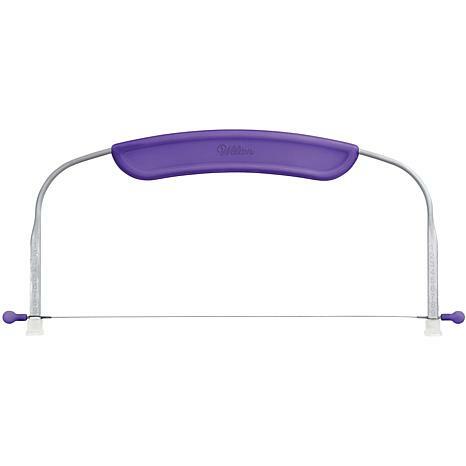 WILTON-Small Cake Leveler. Torting and leveling cakes up to 10 inches is easy with this handy tool. Clearly defined height markers help with accuracy and the wavy wire cuts cleanly while reducing crumbs. 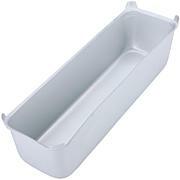 Flat, hard, plastic feet provide stability but also allow it to slide easily across the countertop. Each package contains one cake leveler. Imported. I had this delivered to my daughter while she was taking her Wilton Cake Decorating class. She loves it. Says it works great and is well made. I bought this item for diy projects. I love baking. It's lightweight, easy to store anywhere and so easy to use. Its only good for cakes up to 10" round. Other than that I would probably buy the medium and large cake leveler. 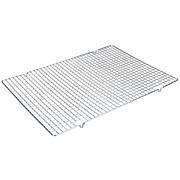 I certainly would so recommend this for people who are organized and love precise line/leveling of cakes. Great tool ....make cake cutting easy!! 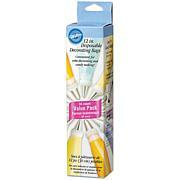 This item is easy to use and the results are great. This is a must have !!!!! I just used this tool the other day for the first time and it was wonderful. I set the leveler to the correct height and a 2 layer cake became a 4 layer cake in a matter of 2 minutes. Just make sure your cakes are completely cooled.I'm looking forward to using the leveler againI love it !!!!! WILTON-Cupcake Box. A window box is the perfect way to hold and display your cupcakes! Box includes an insert with recessed space to hold 4 standard size cupcake safely in place. Great for gifts and favors! Some assembly required. Measures 6-1/4x6-1/4x3 inches. Includes 3 silver boxes and inserts.